What Is A "Baby Friendly" Hospital? Does it matter what hospital your child is born in? While you might think all hospitals provide excellent care when the time comes for you to give birth, you might be surprised that not all hospitals are equal. According the U.S. Centers for Disease Control and Prevention (CDC), only five percent of the children are born in what is termed “Baby Friendly” hospitals. So, what is a baby friendly hospital? The Baby Friendly designation is a United Nations’ UNICEF initiative begun in 1991 in cooperation with the World Health Organization (WHO) to try and help insure that all hospitals and maternity units offer the best services, support and benefits to expectant mothers. A designation of baby friendly is made when a facility does not accept free or lo-cost breast milk substitutes, feeding bottles, and has adopted specific tests to support successful breastfeeding. Having a written breastfeeding policy. Helping mothers initiate breastfeeding within one half-hour of birth. Showing mothers how to breastfeed and maintaining lactation. Allowing mothers and infants to remain together 24 hours a day. Encouraging breastfeeding when the mother and/or child desire it. Giving no artificial teats or pacifiers (also called dummies or soothers) to breastfeeding infants. Fostering the establishment of breastfeeding support groups and referring mothers to them when they leave the hospital or clinic. The organization also suggests that in the U.S. alone millions of dollars in savings to the nation’s health care system could be realized from fewer hospitalizations and visits to pediatric clinics. Partner with hospitals that are already designated as Baby-Friendly hospitals to learn how to improve maternity care. Use the CDC's Maternity Practices in Infant Nutrition and Care (mPINC) survey data (at www.cdc.gov) to prioritize changes to improve maternity care practices. Talk to doctors and nurses about breastfeeding plans and ask how to get help with breastfeeding. Ask about breastfeeding support when choosing a hospital. You can't be to careful when it comes to your baby. 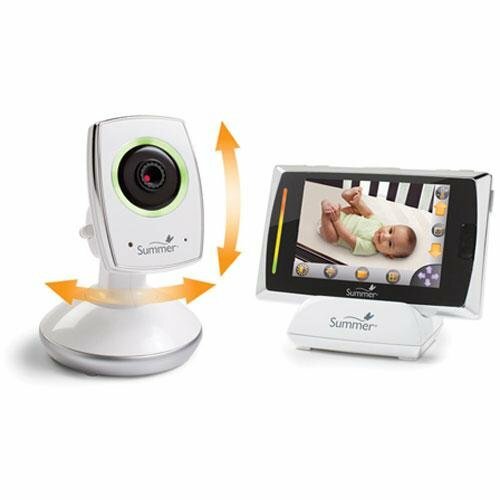 Take that 'extra' security step with a video monitoring system and know you are able to always keep watch on your child.